Mohawk Carpet's outstanding products have made it most acknowledged carpet brand in the industry. Mohawk Carpet Mills began in 1878 when four brothers from the Shuttleworth family brought 14 second hand looms from England to Amsterdam, New York. Ever since, Mohawk Carpet has been producing beautiful and sturdy carpet. 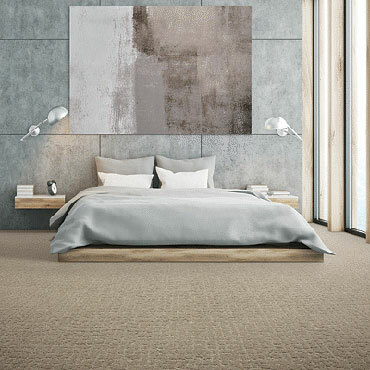 Mohawk Carpet collections include: Aladdin Carpet, Horizon Carpet, WundaWeve and Custom Weave – each provides selections for nearly every room, decorating style, and price point. And, when you purchase Mohawk, you are getting a high-quality floor-covering from one of the world’s most trusted brands. Exceptional Durability – Mohawk constructs its carpets using premium yarns and fibers which are tested for quality and durability. Style – Mohawk is designed to enhance the beauty and warmth of your home with a wide variety of styles, textures and colors. Comfort – Choose for installation anywhere in your home where comfort and warmth are a priority. Lasting Value – Carpets are backed by limited warranties for up to 20 years. Mohawk Carpet has taken special care to create products that offer the right blend of colors, patterns and textures to meet your design needs. Whether decorating a versatile family room or a luxurious sitting room, the options you're looking for as well as a reputation for superior service and quality that you can rely on. The specific warranties applicable to each specific style are designated on the samples featured by the authorized dealer at the time of the purchase of the carpet. See Store Sample for Warranty Details. Mohawk Industries guarantees residential carpeting for a specified period from the date of original installation, provided the carpet is installed over a cushion meeting the manufacturer's recommendations in an owner-occupied single-family residence. *Carpets made of Polypropylene (Olefin) and Kid Proof Carpeting carry different warranties concerning stains. Please ask your dealer for more information if you purchased one of these carpets. If permanent staining should occur that cannot be removed using recommended methods or by a qualified carpet care professional, Mohawk Industries will arrange a credit equal to the cost of the carpet material only. From the original Shuttleworth Brothers in 1878, through the efforts of hard working, dedicated and skilled employees, the company has built a reputation for value, design, service, quality and innovation-a reputation that will extend the company's legacy into homes, offices and public spaces for many years to come. We gave our new Air.o hypoallergenic soft flooring to real people like Julie from girlintheredshoes.com to see it in action in her home. Check out her playroom makeover.